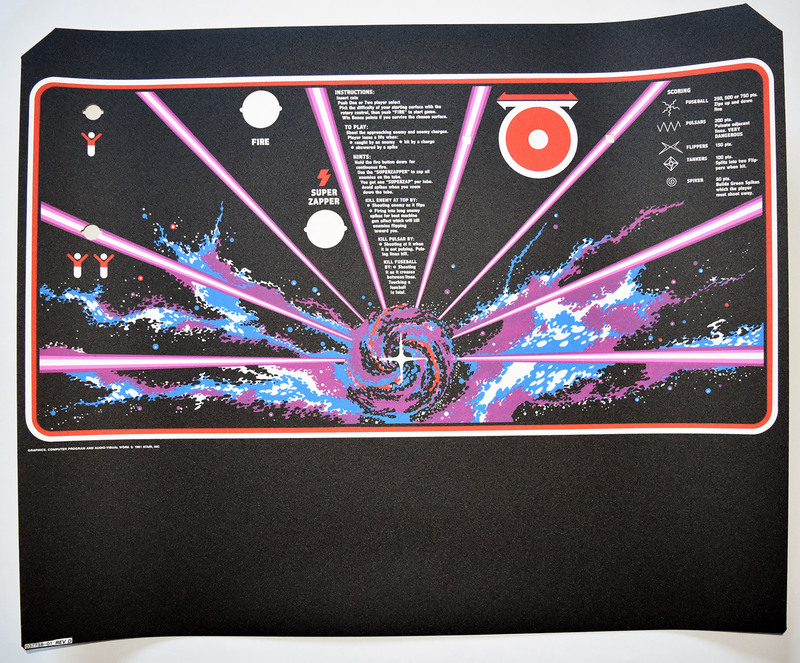 Tempest Upright Side art 5 color screen print from the original Atari films on 4mil self adhesive vinyl, sheet size 32.5" x 74", image size 31.89" x 69". 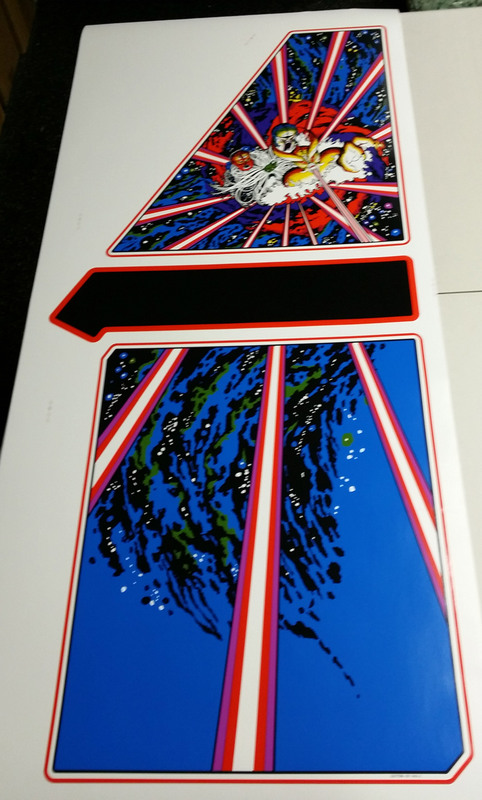 Tempest Upright Marquee screen/digital hybrid print on precut Lexan with 3M adhesive, measures 12.625" x 23.625". 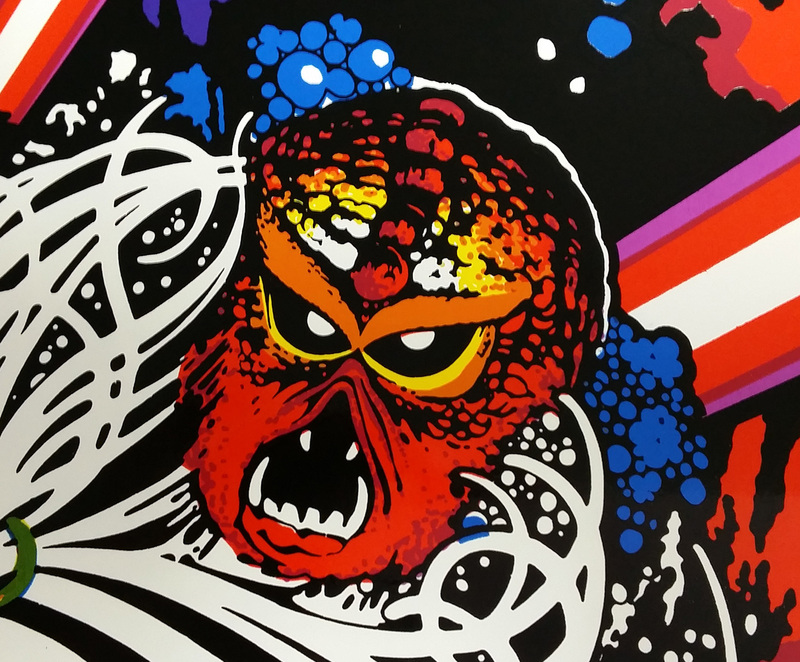 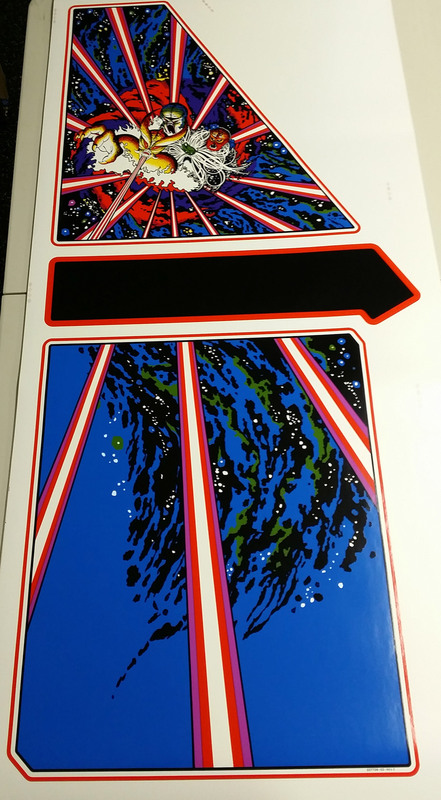 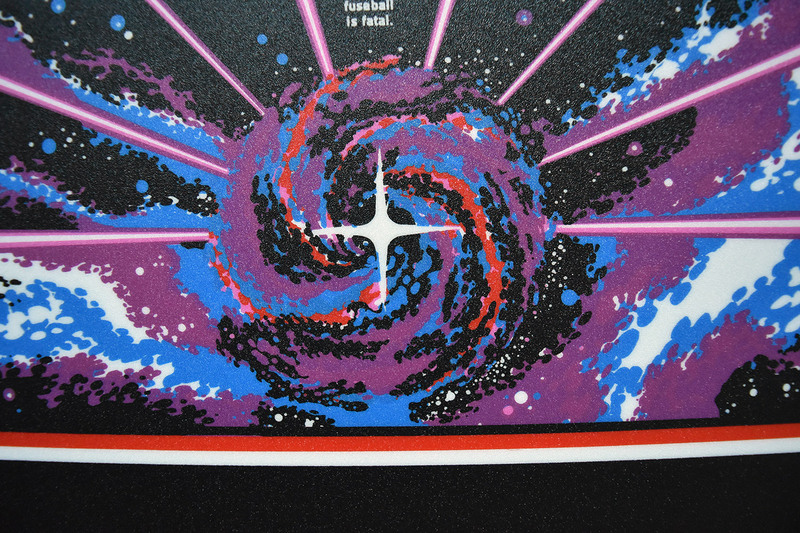 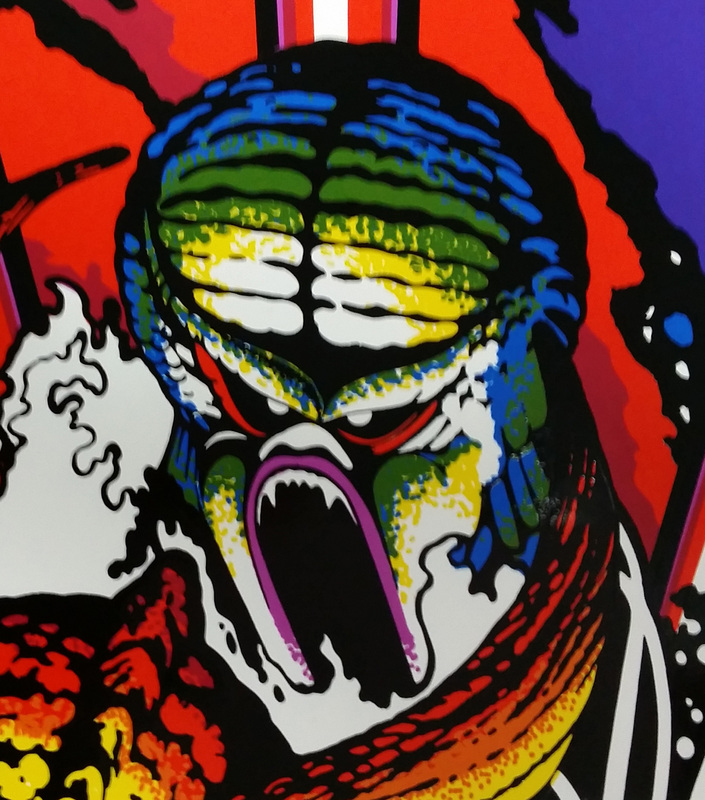 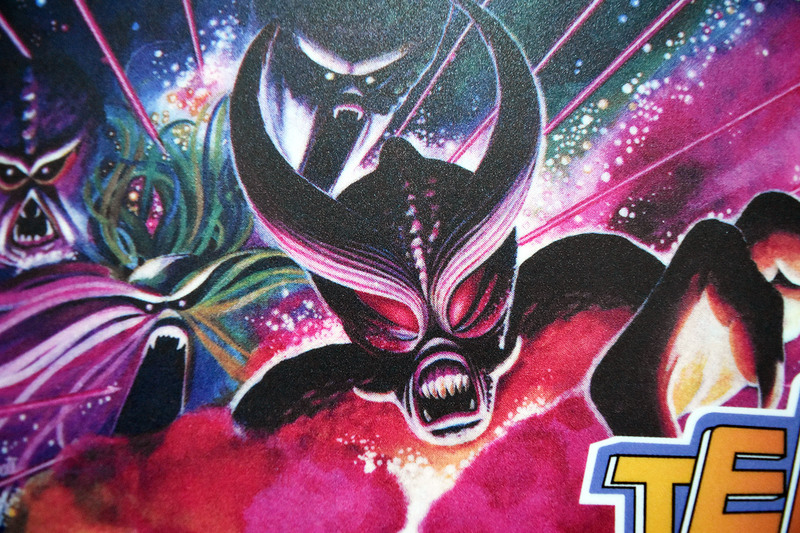 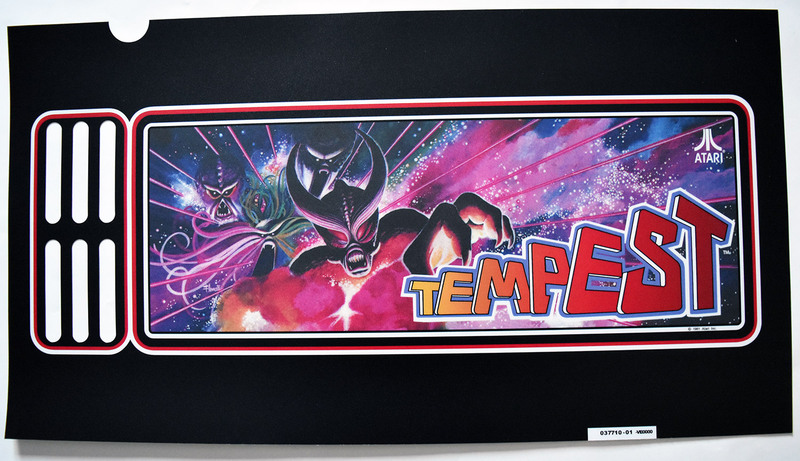 Tempest Upright CPO 6 color screen print from the original Atari films on precut lexan with 3M adhesive, measures 23 11/16" x 19 1/8".